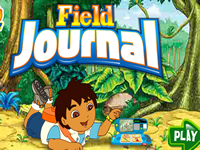 Diego Field Journal Diego Field Journal Learn about different animals with Diego. Diego Forest Adventure Coloring Diego Forest Adventure Coloring Color up Diego and all the animals in the jungle. 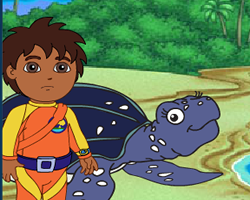 Diego Dinosaur Rescue Diego Dinosaur Rescue Join Diego and his friends on a journey in the time of the dinosaurs to reunite a lost Maiasaura and her family. The Great Roadrunner The Great Roadrunner Roadie the Roadrunner is going to run in the Great Roadrunner Race. He'll need your help to finish in first place! Diego Arctic Rescue Diego Arctic Rescue Help Diego to rescue all arctic animals. Diego Hidden Alphabets Diego Hidden Alphabets Find all the hidden letters in this Diego and Dora image online.